When building a custom car, a number of things have to be considered. Will it need air conditioning? Will the suspension be set up for the street or for the drag strip? Where is the engine’s powerband? A lot of choices have to be made in order to dial a car in for its chosen application. For most people, the luxury of owning a track-only car is not something they can afford. That means compromises need to be made so that the car can be streetable as well. This 1970 Camaro “Rampage” is a car that makes no compromises – it is a race car built for the track. 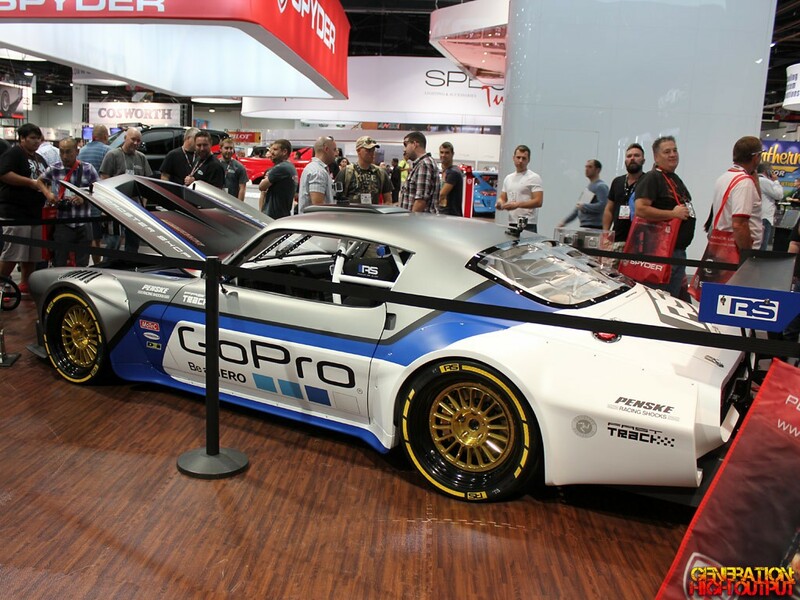 Built by The Roadster Shop, we saw this car on display at the GoPro booth at SEMA 2014. It looks pretty wild with its huge fender flares and front air dam. The roll cage, Lexan windows, and roof scoop are clear indications that this car means business! Powering this beast is a 750-horsepower LS7 V8 engine with a Harrop crossram injection system. It is coupled to a Jerico 5-speed manual transmission, which had to be mounted sideways due to ground clearance issues. A Motec race gauge cluster provides the driver with critical information. Of course, handling is just as important as power when tearing around the racetrack. This car uses a new Roadster Shop-developed suspension with Penske adjustable coilovers and an air-jack system, as the car sits too low for a floor jack to be of any use. The car won “Best Domestic” in the Gran Turismo SEMA awards, which means that it will be included in a forthcoming release of the popular Gran Turismo video game series. We’d like to congratulate The Roadster Shop on their award and for building this awesome no-compromise race car. This entry was posted in SEMA and tagged 1970's, camaro, Chevrolet, custom car, muscle car, pro touring, Restomod, SEMA 2014, The Roadster Shop, track car by Trevor Freeman. Bookmark the permalink.